A nice choice for recording any screen activity as video in high quality. Apowersoft Screen Recorder Pro 2.1.1 was available as a giveaway on February 20, 2016! 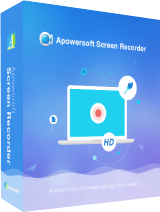 Simple yet powerful, Apowersoft Screen Recorder Pro is a nice choice for recording any screen activity as a video in high quality. It captures screen along with audio from system sound, microphone or both, and saves them in different video formats (MP4, WMV, FLV, AVI, etc.) and GIF. Aside from recording screen manually, it even provides task scheduler for capturing automatically during your absence. In addition, some useful features are also added to this screencast program including iOS recorder, advanced video editor and the ability to move recording region while making screencast. Streams and records iOS screen. How would you improve Apowersoft Screen Recorder Pro 2.1.1? Select the type of ellipse like a broken ellipse. Free Online Audio Recorder is a useful tool that supports both Windows and Mac. With it, you can record any audio from computer sound card and microphone. Even better, it can play, manage recorded audio files and add ID3 tags to them. 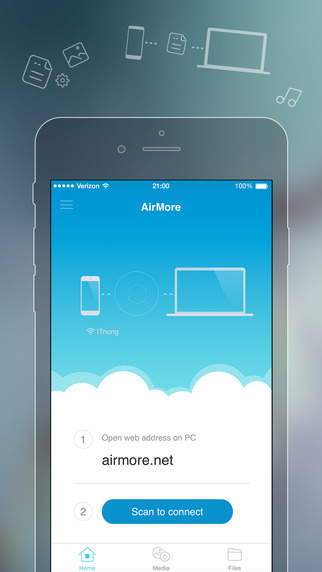 AirMore is a cross platform tool that allows you to connect your mobile device to PC wirelessly. Free you from cables and client. The only thing you need to do is to open the web browser on PC. I followed everyone's advice: I UN-checked the "load program after installation" as I was installing it. Then I just ran "activate" afterwards. Then I opened the program and - voila! It was fully registered to me. Thanks so much, GAOTD and Apowersoft! I got error message saying wbernsvc.dll is either not designed to run on Windows or it contains an error. Try reinstalling the program again using the original installation media or contact your system administrator or the software vendor for support. I went to their website and watched the quick guide video and decided to give this a whirl. Downloaded, installed, and activated in about 2 minutes time tops. I went through the options and set up everything real quick, recorded in MP4 and it looks fantastic. Really, really impressed with this one. I even added some text and lines (even though in realtime it's kind of clunky), but the bottom line is that this is one of the best screen recording apps I've found to date by a pretty big margin. I've had this program before and uninstalled it after trial expired. Now that GOTD has offered this program for free, I had to take advantage of that. I downloaded and installed this with no problems. I ran it and it said trial mode so I then closed Apowersoft Screen Recorder Pro 2.1.1. After that, I clicked on the Activate.exe file to activate the program. NOTE: This is how to install and register Apowersoft Screen Recorder Pro 2.1.1 properly. Please pay attention. 1. Download ApowersoftScreenRecorderPro211.zip to your desktop. 2. Create a new folder on desktop and name it ApowersoftScreenRecorderPro211 or whatever you want to name it. Now double click the ApowersoftScreenRecorderPro211.zip file to open it and then extract all the contents from the zip file into that folder. These are the four files you should now see in the folder you just created. IMPORTANT: Make sure that you see Activate.exe and Activate.gcd together in the same folder. They MUST be together. 3. Click on Setup.exe to install the program. Once the program has finished installing, make sure it isn't running. If it is, exit the program. 4. Right click on Activate.exe and run as administrator, if using Windows Vista, 7, 8.1, or 10. You should now see a box that pops up that says... Successfully activated!. Done.. It's an easy four step process. Thank you, Apowersoft for this giveaway today. I've had this program before and uninstalled it after trial expired. Now that GOTD has offered this program for free, I had to take advantage of that. I downloaded and installed this with no problems. I ran it and it said trial mode so I then closed Apowersoft Screen Recorder Pro 2.1.1. After that, I clicked on the Activate.exe file to activate the program. NOTE: This is how to install and register Apowersoft Screen Recorder Pro 2.1.1 properly. Please pay attention. 1. Download ApowersoftScreenRecorderPro211.zip to your desktop. 2. Create a new folder on desktop and name it ApowersoftScreenRecorderPro211 or whatever you want to name it. Now double click the ApowersoftScreenRecorderPro211.zip file to open it and then extract all the contents from the zip file into that folder. These are the four files you should now see in the folder you just created. IMPORTANT: Make sure that you see Activate.exe and Activate.gcd together in the same folder. They MUST be together. Activate.exe Activate.gcd Readme.txt Setup.exe 3. Click on Setup.exe to install the program. Once the program has finished installing, make sure it isn't running. If it is, exit the program. 4. Right click on Activate.exe and run as administrator, if using Windows Vista, 7, 8.1, or 10. You should now see a box that pops up that says... Successfully activated!. Done.. It's an easy four step process. Thank you, Apowersoft for this giveaway today. Hi, great piece of software, I really wanted to use it on my winXP PC, however I missed the free giveaway deadline. Would it be possible to extend the Apowersoft Screen Recorder Pro 2.1.1 offer. I would greatly appreciate the opportunity to use it. You don't need to download this a powerboat has a Free online recorder & other products. I have used them & they work just fine. Installed and registered with no issues. Looking forward to trying this program out. Just downloaded and used with great results. I could not upload to Youtube but will be able to do so as I get used to this. So, I used the video converter under the tools heading. This gives you a converted file that you can save anywhere to upload to Facebook or use as you wish. The clarity and sound of the recordings are truly amazing. If you get a window open asking for a code, you dont need one , so just close the window. Run the active.exe and it is all there for you. Simples. Brilliant free application. How can I get the activation code? I couldn't find it on this page! Would anyone help me out please? How can I get the activation code? I couldn't find it on this page! Would anyone help me out please? There is no activation code. You must run "activate.exe after install - and after install I'd recommend closing the program BEFORE running "activate." <b>Milanista</b> There is no activation code. You must run "activate.exe after install - and after install I'd recommend closing the program BEFORE running "activate." You dont need the activation code. Just close the window. The application is registered for you when you run active.exe Hope this helps. <b>Milanista</b> You dont need the activation code. Just close the window. The application is registered for you when you run active.exe Hope this helps. Thanks for the reply, Ann! What if I want to install the Mac version? is not a valid indows image. Please check against your installation diskette. I'm using XP When trying to open program, after installation I get the following message: The application or DLLD:\WINDOWS\system32\MSVCR100_CLR044.dll is not a valid indows image. Please check against your installation diskette. When trying to open program, after installation I get the following message: The application or DLLD:\WINDOWS\system32\MSVCR100_CLR044.dll is not a valid indows image. Please check against your installation diskette. Has anyone tried today's giveaway for recording match 3 games that are full screen? In the last year I've tried at least three of this type recorder and none of them worked. I don't want to waste any more time D/Ling programs and trying them. Maybe the problem is with the game? One I play a lot is Call of the Ages. I'd like to record part of the game to see what I maybe did wrong--or what I did right--to help me with future play. Has anyone tried today's giveaway for recording match 3 games that are full screen? In the last year I've tried at least three of this type recorder and none of them worked. I don't want to waste any more time D/Ling programs and trying them. Maybe the problem is with the game? One I play a lot is Call of the Ages. I'd like to record part of the game to see what I maybe did wrong--or what I did right--to help me with future play. Thank you for the info. This is one requirement that should definitely have been listed by the publisher. <b>PeterM</b> Thank you for the info. This is one requirement that should definitely have been listed by the publisher. Installed fine for me on Windows 10. I clicked on the download link in the email, when it finished downloading I extracted the zip archive. Ran the installer. Program launched saying 3 day trial. I closed the program and ran the activate program. Opened the program and it shows registered. The program downloaded and installed without any problems on Windows 10, 64-bit. One of the problems I've had in the past with such programs is that they would not record the audio from the soundcard. I could not record live streams with the proper audio. This program works well on my system in the few tests that I conducted. I was hoping that the publisher would have offered a discount to purchase a non-GAOTD license. However, unless I missed it someplace, $40 is more than I can afford or willing to pay for this utility. In any event, I thank the publisher and GAOTD for the opportunity to try the software. The program downloaded and installed without any problems on Windows 10, 64-bit. One of the problems I've had in the past with such programs is that they would not record the audio from the soundcard. I could not record live streams with the proper audio. This program works well on my system in the few tests that I conducted. I was hoping that the publisher would have offered a discount to purchase a non-GAOTD license. However, unless I missed it someplace, $40 is more than I can afford or willing to pay for this utility. In any event, I thank the publisher and GAOTD for the opportunity to try the software. I made a mistake in the above review. I had no problems recording the audio stream with this program. Somehow, I said I could not, which is wrong. <b>VCL.</b> I made a mistake in the above review. I had no problems recording the audio stream with this program. Somehow, I said I could not, which is wrong. I had to post again after trying this software out! I typically record a lot of training and other webinars, and I usually use Camtasia, not that I'm going to ever edit my recordings, I just already can record using Camtasia. The PROBLEM with Camtasia is that recording is a two-step process. First you record in a Camtasia format, them you must "process" that recording into a more usable format - like mp4. That is great IF you are going to edit the video after recording! The PROBLEM with that is it takes a Very Long Time to convert formats, especially if the webinar lasts an hour +. Apowersoft Screen Recorder Pro 2.1.1 records in popular formats (again like mp4, etc.) THE FIRST TIME! In other words, when you stop recording the recording is ready to view (or upload, whatever) in the format you chose before you started recording! In other words, NO SECOND STEP! I did a test on a YouTube video and it recorded great! There are lots of options available - some you should probably check and test before you record anything, like "audio," to choose playback audio options (speakers, headphones, etc. ), Also the format you want to save your videos in - default is mp4, and what file you want the saved recording to go in. IMO this is a delightful screen recording program with enough options to be useful - no steep learning curve like Camtasia. If you do any type of screen recording you should try this! Thanks Apowersoft and GOTD! This is a keeper for me. BTW, I closed the program after install, THEN ran "activate.exe - Installed easily and successfully on Win 7x64, and I didn't find an auto-update feature. <strong>I had to post again after trying this software out!</strong> I typically record a lot of training and other webinars, and I usually use Camtasia, not that I'm going to ever edit my recordings, I just already can record using Camtasia. The PROBLEM with Camtasia is that recording is a two-step process. First you record in a Camtasia format, them you must "process" that recording into a more usable format - like mp4. That is great IF you are going to edit the video after recording! The PROBLEM with that is it takes a Very Long Time to convert formats, especially if the webinar lasts an hour +. Apowersoft Screen Recorder Pro 2.1.1 records in popular formats (again like mp4, etc.) THE FIRST TIME! In other words, when you stop recording the recording is ready to view (or upload, whatever) in the format you chose before you started recording! In other words, NO SECOND STEP! I did a test on a YouTube video and it recorded great! There are lots of options available - some you should probably check and test before you record anything, like "audio," to choose playback audio options (speakers, headphones, etc. ), Also the format you want to save your videos in - default is mp4, and what file you want the saved recording to go in. IMO this is a delightful screen recording program with enough options to be useful - no steep learning curve like Camtasia. If you do any type of screen recording you should try this! Thanks Apowersoft and GOTD! This is a keeper for me. BTW, I closed the program after install, THEN ran "activate.exe - Installed easily and successfully on Win 7x64, and I didn't find an auto-update feature. Good luck all! I don't know what all the fuss is about. If you follow the simple instructions given you will not have a problem. I installed it on my Win. X P and Win 10 without any problems whatsoever. Works great and it is a program that I need. Thanks very much GOTD and APowersoft for this program. Yet again registration is causing problems; just a few lines to help understand how in general it works. The easiest way for a developer to protect this program is to have a serial code or file that must be present in the system for the program to function properly. Today use of a file is rare as the registry is a much simpler area to hide this code, so let's look at that case. The sequence of events when a protected program opens is checks in the registry to see if the serial code is present where it should be. If it finds this code it then continues to open the program as a normal fully functioning entity, if not it may close or stay in trial mode. Once the program is opened, it is most unusual for the program to check its status while it is still open. So this means that in general the order of the running of the setup EXE file and activate EXE file is not important except for the rare instances where the activate EXE file will only register if the program exists on the system. If the program comes with a serial number in many cases this can only be entered when the program is running and open and it needs to be closed and opened again to go through its checking process. Some programs will only allow the setup to take place when the codes had been entered in some start-up window and then they tend to start-up as registered, if they don't just close and open the program again. Hope this helps for a little understanding and also show why problems with the registry can cause such havoc. <b> Registration </b> Yet again registration is causing problems; just a few lines to help understand how in general it works. The easiest way for a developer to protect this program is to have a serial code or file that must be present in the system for the program to function properly. Today use of a file is rare as the registry is a much simpler area to hide this code, so let's look at that case. <i>The sequence of events when a protected program opens is checks in the registry to see if the serial code is present where it should be. If it finds this code it then continues to open the program as a normal fully functioning entity, if not it may close or stay in trial mode. Once the program is opened, it is most unusual for the program to check its status while it is still open.</i> So this means that in general the order of the running of the setup EXE file and activate EXE file is not important except for the rare instances where the activate EXE file will only register if the program exists on the system. If the program comes with a serial number in many cases this can only be entered when the program is running and open and it needs to be closed and opened again to go through its checking process. Some programs will only allow the setup to take place when the codes had been entered in some start-up window and then they tend to start-up as registered, if they don't just close and open the program again. Hope this helps for a little understanding and also show why problems with the registry can cause such havoc. 1) Activation: After installing a program I ALWAYS CLOSE the program first, THEN after the program is closed I run "activate.exe." Never had a problem getting a "trial" situation - that I remember, anyway. Just FWIW - maybe it will help someone. <strong> A few observations...</strong> 1) Activation: After installing a program I ALWAYS CLOSE the program first, THEN after the program is closed I run "activate.exe." Never had a problem getting a "trial" situation - that I remember, anyway. 2) Automatic Updates: That must be disabled to avoid having your program "update" itself back to a trial program! The problem is, not "every" program has that option, and sometimes the coders make it difficult to find the "auto update" option. I "usually" find it under "Settings" or "Options," unless I don't. ;o) Just FWIW - maybe it will help someone. This seems like a good one to keep! Simple to install & activate but had to look on Utube videos to understand it easily! This seems like a good one to keep! Simple to install & activate but had to look on Utube videos to understand it easily! Thank you. I have tried on Windows 7. So many times tried. After activate also still 3 days pop up displaying. I have tried on Windows 7. So many times tried. After activate also still 3 days pop up displaying. I have uninstall it. I did not encounter any problems with the installation or the activation process on a Windows 10 64 bit laptop. As far as I know and can remember you are required to install the programs and then run the activation component not the other way around. However, I have also discovered that it is often the case where you have to close the program before activating it and then restart it in order to complete the process. The program offered today like many others is set to automatically start as soon as the installation is finished which means you will probably have to close it manually before activating. As far as the offering today it appears to work well and the product video recording was very good. I need to do more testing but I am so far quite impressed. Cudos to Apowersoft and the folks on this site for offering this software. Installed on Windows 10 x64 without issue and confirmed that it did register. I then went and tested and saved video from the screen without issue. I'm not sure why others are having issues. Install went smooth on Win7U. Activate worked to register when program was restarted. For a quick test with default settings I captured a couple of minutes of a 720 youtube video using a region capture and full screen. Resulting mp4 video for fullscreen was 61.32MB for 2:01. Seemed to have decent frame rates (for an A6 AMD laptop) and sound quality. Most capture software fails to record sound on this Toshiba. This one worked and I will be keeping it. Simple download, and installation on windows 10 x64, had to run the activate.exe to get activation. Watched the quick youtube video for instructions, and was configured plus up and running in about 15 minutes. Simple download, and installation on windows 10 x64, had to run the activate.exe to get activation. Watched the quick youtube video for instructions, and was configured plus up and running in about 15 minutes. A keeper for me. Installation has worked for me on Win10x64. I suggest, right click on setup.exe and run as admin. When installed uncheck the option to run/open the program. Then run activate.exe, again with a right click and as admin. Then open the program for the 1st. time. Hope this helps. Love this screen recorder except for one problem. When I try to record, it will not record my narration from the microphone until after I run a video with sound. Just to be clear, I have tried audio settings of "Microphone" and "System Sound and Microphone". In both cases the resulting video plays no audio when I start and am speaking. I then open an arbitrary video (I used a random YouTube video). As soon as the YouTube video starts, sound start on my recorded video, and I can hear my voice-over during the YouTube video. After I stop the YouTube video, my recorded Apower video then continues to give me my narration (presumably from the microphone). Please contact support@apowersoft.com for any question. I didn't particularly need or want this software but I was intrigued by the fact that so many people are having issues getting it to activate that I downloaded it. My usual software for tasks such as screen recording is HyperCam 2 - I can't remember if it's free or paid for or indeed if it even works well as I very, very rarely need to do screen recording. For screen shots I use Gadwin and have never had any problems with it. As for today's software the download/installation/activation was flawless on Windows 7 Starter 32-bit (my little netbook). The problems began immediately after installation. I have a teeny-weeny Intel Atom @ 1.66GHz and just 1GB of RAM and while the program did what it said (in my brief seven second test with the option of following the cursor and output in .mp4 as I closed the folders with the installatiion files etc...) it more or less completely caused my computer to freeze. Also, the CPU remained at near to max some considerable time after I had watched the seven second video on VLC (which also took ages). In short, I had to reboot to get any kind of fluidity back. The program also wants to run on start up which was prevented by a warning from WinPatrol (for which, obviously I refused permission). I can't even imagine the damage that having this program run on start up would do to my system. Perhaps this software is more suited to more powerful computers but as my (slightly) more powerful computers all run different versions of Linux I have no idea. There are no system requirements at the top of this page with regards to CPUs and memory. Either way, even on a more powerful system than mine I certainly wouldn't recommend having this thing set to run on start up. I am therefore uninstalling this software with immediate effect and while I'm at it I will be uninstalling the previous giveaway Apowersoft Phone Manager (or Android manager - whatever it is...) because frankly that wasn't very brilliant either. I didn't particularly need or want this software but I was intrigued by the fact that so many people are having issues getting it to activate that I downloaded it. My usual software for tasks such as screen recording is HyperCam 2 - I can't remember if it's free or paid for or indeed if it even works well as I very, very rarely need to do screen recording. For screen shots I use Gadwin and have never had any problems with it. As for today's software the download/installation/activation was flawless on Windows 7 Starter 32-bit (my little netbook). The problems began immediately after installation. I have a teeny-weeny Intel Atom @ 1.66GHz and just 1GB of RAM and while the program did what it said (in my brief seven second test with the option of following the cursor and output in .mp4 as I closed the folders with the installatiion files etc...) it more or less completely caused my computer to freeze. Also, the CPU remained at near to max some considerable time after I had watched the seven second video on VLC (which also took ages). In short, I had to reboot to get any kind of fluidity back. The program also wants to run on start up which was prevented by a warning from WinPatrol (for which, obviously I refused permission). I can't even imagine the damage that having this program run on start up would do to my system. Perhaps this software is more suited to more powerful computers but as my (slightly) more powerful computers all run different versions of Linux I have no idea. There are no system requirements at the top of this page with regards to CPUs and memory. Either way, even on a more powerful system than mine I certainly wouldn't recommend having this thing set to run on start up. I am therefore uninstalling this software with immediate effect and while I'm at it I will be uninstalling the previous giveaway Apowersoft Phone Manager (or Android manager - whatever it is...) because frankly that wasn't very brilliant either. Apowersoft's April 2012 giveaway of Screen Recording Suite has worked flawlessly for me (except for my usual user error of leaving the cursor in the middle of the video I'm recording). It even captures audio from my usually reluctant Vista Realtek audio. Just used this a few months ago when I failed in all other attempts to download a couple of expiring "Brain Series" shows off PBS. Recommended. I love this program and have used it a lot. I don't know why someone complained about facebook or having to go to another website. It was a direct download for me. Also, the readme.txt says, "
then run the activation program Activate.exe which is included in the package to register your copy." It doesn't say to start the program. I always activate before doing so and I've never had any problems. I love this program and have used it a lot. I don't know why someone complained about facebook or having to go to another website. It was a direct download for me. Also, the readme.txt says, " Unzip the package you`ve downloaded and install the software by running Setup.exe, then run the activation program Activate.exe which is included in the package to register your copy." It doesn't say to start the program. I always activate before doing so and I've never had any problems. Thanks for the update! OK PAY ATTENTION: My first comment; I am honestly amazed at the comments I have read, it is free software so why are you complaining in the first place! I have not had any problems downloading or installing or activating any software, if I am pleased with the software I keep it and if not I delete it and move on there have been a few that I have bought as well. I have Windows 10 64 bit I downloaded the software unzipped with 7zip clicked on Setup.exe the Administrator dialog box came up automatically clicked on Yes installed it then clicked on Register and STOPPED leaving the program open I then clicked on the Activate.exe file and waited until it said your software is now Activated THEN AT THIS POINT I closed the software Registration dialog box and then Exited the program. NOW upon restarting the program clicked on Help and clicked on About and saw the software was Registered in my Name. Does this have features that Apowersoft Video Converter Studio does not? The converter studio has a screen recorder built in. Is that just this program built into the converter program? Does this have features that Apowersoft Video Converter Studio does not? The converter studio has a screen recorder built in. Is that just this program built into the converter program? Works ok on Win 10. Activate.exe did registration ok. Recorded MP-4 using full screen ok. Changed output to AVI to see if recording was compatible with VirtualDub video editor. "Couldn't locate decompressor for format 'MP42' (Microsoft High-Speed MPEG-4-V2)"
Nothing wrong with that but would have preferred "pro" version did output compatible AVI. Debut free screen recorder output is free and gives me AVI output that works fine with VDub. Works ok on Win 10. Activate.exe did registration ok. Recorded MP-4 using full screen ok. Changed output to AVI to see if recording was compatible with VirtualDub video editor. "Couldn't locate decompressor for format 'MP42' (Microsoft High-Speed MPEG-4-V2)" Nothing wrong with that but would have preferred "pro" version did output compatible AVI. Debut free screen recorder output is free and gives me AVI output that works fine with VDub. How about giving us the option to share your software on Google+ as I do not do the book of face? I know it shows the link to do this but it goes no where. Nice tool. I only wish the program have the option to change the ellipse by something more fancy like a broken ellipse. I had to temporary disable my antivirus software to install and activate. It might work for you since Windows tend to disable installation by detecting something in those downloads. I was confused, did the install and then the activation exe and it said "successfully activated" ... but you are not finished yet... shut the program down and then open it again. Like magic. . .. the program then told me the program is registered and my name was there. Simple statement: Activation is Activation and is not all that is needed. The shutdown/reopen auto Registers the program. Please tell me if I am wrong! I was confused, did the install and then the activation exe and it said "successfully activated" ... but you are not finished yet... shut the program down and then open it again. Like magic. . .. the program then told me the program is registered and my name was there. Simple statement: Activation is Activation and is not all that is needed. The shutdown/reopen auto Registers the program. Please tell me if I am wrong! As long as the application is *not* running when you run activate.exe you are done. <b>dpullum</b> Okay.... You are wrong. As long as the application is *not* running when you run activate.exe you are done. The activation registers the program; the program only knows this when it has reopened and checked for registration. <b>dpullum</b> The activation registers the program; the program only knows this when it has reopened and checked for registration. You were nearly right. Activated fine under Windows 7 64, but error 2401 keeps popping up when I attempt to play recorded video; same result after four attempts using different recording parameters. Although advertised as "simple", this is not the case for me. Other programs record and play output "out of the box" with no tweaking required. Uninstalling program now. Installed and activated successfully. This is the best program indeed that i have ever seen and tested on this platform. Is this an update from Apowersoft Screen Capture Pro ? I downloaded the program and ran it as usual, on my HP Pavilion dv7 laptop on IE 8, even though I have both IE 8 and Mozilla Firefox. When I opened the program, it stated that I had a 3 day trial period to use it!? I hit activate, but that just took me to the GAOTD Thank You page? So, what's going on? Thanks a billion for this generous giveaway. I would like to know how can I record the screen for multiple monitors? Just about every program checks if it is registered only when it is first opened; therefore the program should be closed and reopened after being registered either by serial or an activate EXE. Installed today's in the following manner; ran setup did not let it open at the end, instead went to the activate EXE ran that and then allowed it to open. This way it opens as registered which can be seen under Help, About. A recent giveaway seems to have affected my ability to record from the screen in many programs and so my tests today are purely on usability. Today's is not the easiest program I have used finding it a bit clunky because when defining a region the overlay is not transparent regarding mouse clicks. This meant I had to plan a sequence of events make sure I recorded the correct area. If you don't have a good screen capture program it is worth downloading. Just about every program checks if it is registered only when it is first opened; therefore the program should be closed and reopened after being registered either by serial or an activate EXE. Installed today's in the following manner; ran setup did not let it open at the end, instead went to the activate EXE ran that and then allowed it to open. This way it opens as registered which can be seen under Help, About. A recent giveaway seems to have affected my ability to record from the screen in many programs and so my tests today are purely on usability. Today's is not the easiest program I have used finding it a bit clunky because when defining a region the overlay is not transparent regarding mouse clicks. This meant I had to plan a sequence of events make sure I recorded the correct area. If you don't have a good screen capture program it is worth downloading. This time I used your method, XP-Man, just for the fun of it, and it worked. Thank you. It's good to learn something new from from others. I REALLY like Apowersoft Screen Recorder Pro 2.1.1 a lot. Glad I read the tips for installation first. Sometime's other's feedback is priceless, today is one of those days. TYVM GOTD & Apowersoft Screen Recorder Pro 2.1.1. Just completely exit the program before Activation. On behalf of the tech support of Apowersoft Screen Recorder Pro, we would like to express our sincere gratitude to you for your interest in Apowersoft Screen Recorder. For better facilitating your experience in using this program, we specially write this post to offer some details user guides, video demo and other tips. And if you have any suggestions for further improvement of this product or problems in using today's giveaway product, you can write down your comments here or send us feedback via the way that mentioned below. Should you have any problems or suggestions about our product, please feel free to send us your feedback by clicking "Help" menu on the main interface of the screen recorder and selecting "Support" from the menu. Then you can write down details of your suggestions or problems. <strong>Apowersoft Screen Recorder Pro Support</strong> Hello, everyone! On behalf of the tech support of <strong>Apowersoft Screen Recorder Pro</strong>, we would like to express our sincere gratitude to you for your interest in Apowersoft Screen Recorder. For better facilitating your experience in using this program, we specially write this post to offer some details user guides, video demo and other tips. And if you have any suggestions for further improvement of this product or problems in using today's giveaway product, you can write down your comments here or send us feedback via the way that mentioned below. <strong>Note</strong>: Please follow the instructions of Giveawayoftheday to install Screen Recorder Pro on your computer. Once it's installed, you only need to enter in key code and activate the program within 24 hours. When you've already completed the software activation but it still reminds you to register, you can shut down the software first, then run the activation file and restart the software to try once again.If it still fails to work, you can feel free to send email to our support email: support@apowersoft.com <strong>User Guide</strong>: http://www.apowersoft.com/faq/screen-recorder-pro-guide.html <strong>Video demo</strong>: https://www.youtube.com/watch?v=8lVdtRkQpjo <strong>Screen Recorder Feedback Support</strong> Should you have any problems or suggestions about our product, please feel free to send us your feedback by clicking "Help" menu on the main interface of the screen recorder and selecting "Support" from the menu. Then you can write down details of your suggestions or problems. It's a superb program, I have used it for over a year and I'm happy for it. I downloaded this one too, and tried to install it on my extern HD, and it looks like it works. Thank-you for a simple to download, install and activate giveaway especially as it is an excellent product.